An electronic book (e-book) is a file in a suitable format containing the complete text, images, table of contents, and other elements of a book. The idea of an electronic book appeared somewhere in 1930s, but it took e-books several decades to become as popular as they are today. With Project Gutenberg founded in 1971, a vast library of e-books was made available for the public free of charge. In 1990s, the internet started to spread, offering an easy access to electronic resources from all over the world. However, this made books available mostly for people that used computers and the internet. Reading an e-book required having a computer running and looking at the computer's display. Although special programs for reading e-books were created, most people would still prefer to read a paper book. This changed with various portable devices, and especially with e-readers. Currently there are many different e-book reader devices featuring different types of displays (mostly falling into two big categories: eInk and LCD), and one can easily recognize such names as Amazon Kindle, Barnes & Noble Nook, Sony Reader, etc. With these devices, reading e-books has become more convenient than reading traditional paper books: it is possible to start reading an e-book right after you purchase it instead of waiting for delivery or driving/walking into a store and bringing the book home; the previously read books do not pile up in your house or appartment, requiring space and furniture; e-books cannot be sold out, so one can always get a copy; there are many free e-books, etc. E-books are great for travels and vacations, as one can easily take a dozen (or even a hundred) of electronic books without adding anything to the luggage. One can argue that paper books have their own value. Some people have a (pretty good) habit of reading non-fiction books with a pencil, making remarks, underlining important passages, etc. Leafing through a paper book and smelling it also gives a good feeling. Probably, this is why paper books will not disappear completely. However, convenience of e-books plus availability of various portable devices (e-readers, mobile phones with big displays, iPads and similar) give fascinating results. E-book sales skyrocketed in the last few years and are still growing. E-books are no longer for geeks, they have entered the mass market and are consolidating the positions. 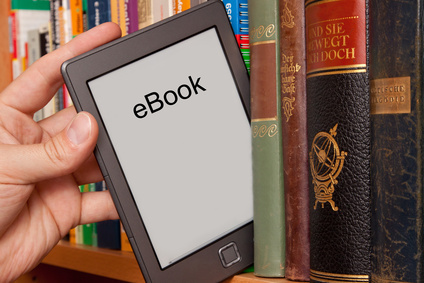 According to a study, about 457 million e-books were sold in 2012 (compare this to 10 million in 2008). With Booknizer, you can organize paper books and e-books quite easily within the same catalog. E-books give some advantages here, too. For example, you can read e-books directly from Booknizer (with a third-party reader) and synchronize them with your e-reader device.